If you’re feeling “off” since having your baby, you are certainly not alone. I don’t think it’s possible for a new mother to feel 100% like her old self- I mean you have a tiny human to look after now, and you haven’t had a solid night of sleep in months! The hormones are raging, and your partner is unable to read your mind, which would make things so much easier, wouldn’t it? However, there’s a difference between a typical postpartum adjustment period and actual Postpartum Depression and Anxiety (PPD and PPA), and this guide is here to help you decide what you might be struggling with, and how to seek help. According to the American Pregnancy Association, 70-80% of women experience some form of the baby blues following the birth of their child! This experience can include irritability, crying for no apparent reason, anxiety, insomnia, sadness, mood swings, and poor concentration. Your body goes through a drastic change when birthing a child. Did you know that your placenta held a lot of hormones, so when you pushed it out, your body experienced a dramatic drop in those hormones? The hormonal shift, coupled with the reality of being a parent and lack of sleep, can often lead to feelings other than pure joy. This is not to say that you don’t feel connected to your baby, or that you feel completely terrible all of the time. The Baby Blues are simply a period (no longer than 2 weeks) of highs and lows that most mothers go through following their labor and delivery. If you still feel incredibly moody, irritable, sad, and/or anxious after that first 2-week period, it’s time to consider PPD and PPA. Karen Kleiman, MSW, LCSW and Valerie Raskin, MD state in This Isn’t What I Expected that PPD means that “after childbirth, a woman exhibits the emotional and physical symptoms of clinical depression.” Some of these symptoms may include crying, feeling hopeless, lack of energy, change in appetite and sleep, and not enjoying things that you used to enjoy. For PPA, you might find yourself worrying incessantly, having intrusive thoughts, and panic attacks. Postpartum mental health problems are common but serious, and therefore should be treated with care. Whether you’re struggling with everyday postpartum issues or full-blown Postpartum Depression or Anxiety, you must first acknowledge what you’re going through. If you’re experiencing any suicidal thoughts, call 911 and seek emergency treatment now. Otherwise — pursuing therapy is a great solution. A therapist can help you gain coping skills, seek support from loved ones, and break negative thought patterns. I highly recommend picking a therapist that makes you feel comfortable, has experience treating women in the postpartum period, and has the credentials that make them qualified. You’re entitled to “shop around” for a therapist, and you should be focusing on the here & now for immediate symptom relief. The future for you and your baby can be bright and taking this step toward self-care now is one of the best things you can do for your newborn! 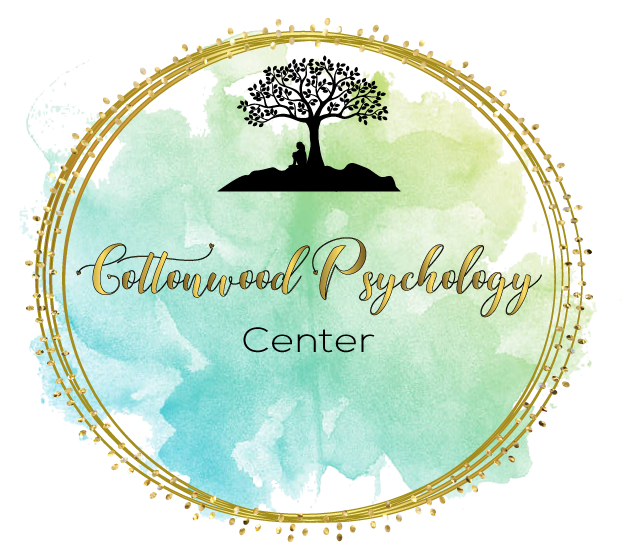 Jessica Vickers, MA, MFT is a licensed Marriage and Family Therapist (#89119) here at Cottonwood Psychology in Anaheim Hills. She specializes in postpartum adjustment, relationships, depression, adoption, purpose/direction, and identity.